Georgia have appointed New Zealander Milton Haig as their new coach. Haig, who will be assisted by Chris Gibbes, has signed a new two-year deal and will take up his post in January. Following a disappointing World Cup campaign - where Georgia failed to progress from their group - their former coach, Scotland's Richie Dixon, has since taken on a player development role with the side. 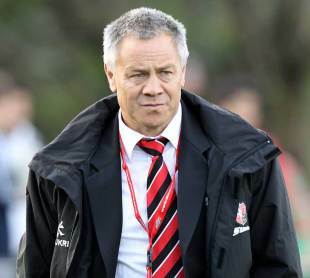 Gibbes joins Georgia from Waikato while Haig arrives from Counties Manukau. Haig's appointment concludes a worldwide search for a new coach with Georgia even considering the likes of Sir Clive Woodward for the role.